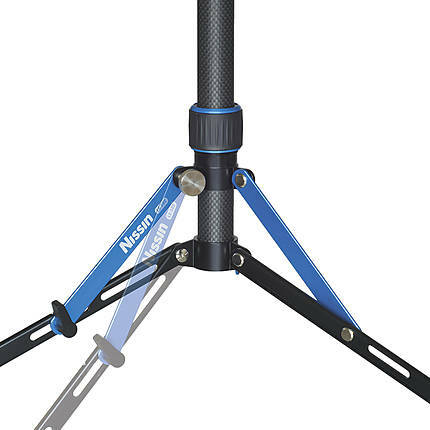 The Nissin Carbon Fiber Light Stand is designed for light fixtures weighing up to 3 lb. Its 5/8-inch stud accepts most studio lamps. 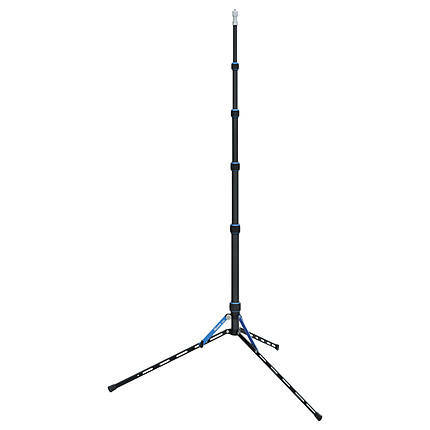 The stand has a maximum height of 200.66 cm that is adjustable in five sections. You can store the stand in tight places by folding its legs upwards. 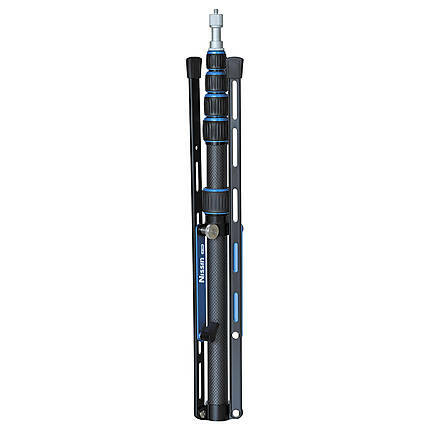 The robust aluminum construction of the light stand offers durability.